Getting out and about with two children can be a challenge, especially if you intend to move quickly and for an extended period of time. My two can keep up for about 10 minutes and then the complaints start to pour in. I usually have to end our outing or just wait for a time I can get out alone so I can break a sweat. The Kelty Speedster Swivel-Deuce is a great option for getting out with the kids for some fitness time for Mommy (or Daddy!). This is a high-performance top-of-the-line stroller for the on-the-go family. It’s loaded with extras and is super simple to put together and use. The first thing I noticed about this stroller was that it is super light-weight! With an aluminum frame it weighs in at 26 pounds. This makes it easy to heave into my trunk without hurting my back or hands. Another fabulous feature I noticed right off the bat is the ample storage underneath. I’ve never understood why companies skimp in this area as most diapers bags are quick hefty. The seating area is roomy and comfortable. Kelty went the extra step in padding the seating area knowing that if the kids aren’t comfortable and cranky the outing will always get cut short. The foot well is large enough for both kids to have enough legroom that they aren’t kicking each other (which mine do just to irk the other). I love the ability to customize the height of the adjustable handle as well as the extra large sun, wind, rain shield over the children. When pulled down this covers a majority of their body. The only thing that would make it beyond fabulous would be to have dual adjustable canopies. This stroller folds down very compactly and if you need a little more room the back wheels offer a quick release. The front wheel does comes off, but it takes a little manipulating to do so. 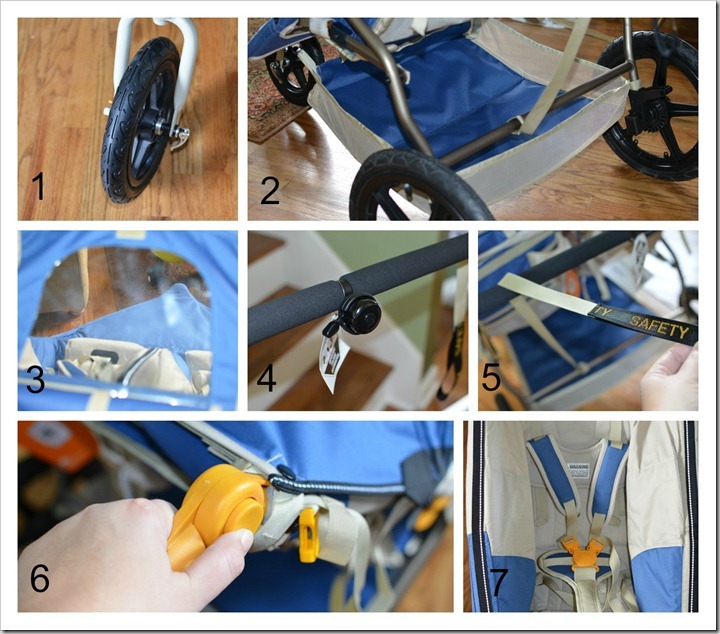 Folding the stroller is easy once you undo the two yellow locking clips. I do have difficulty doing this because they snap on so tightly. This is good for the fact that the stroller is securely held in the open position, but I did hurt myself a couple of times “unsnapping” them. There are so many features on this stroller that combined make this a great stroller. The front wheel swivels for general moving around while it locks in place for quick paced movements to prevent it from tipping. I mentioned the storage basket earlier but as you can see there is plenty of room. Having a peek-a-boo window on the sun shield makes it easy and quick to check on how your children are or what they are doing to make the other squeal. The bell takes me back to my childhood… it sounds just like my tricycle bell. Regardless, this is a great attention getter for when you are jogging and coming up on people. The runaway leash is a fabulous safety feature that I hope would never be needed, but if you happened to trip and lost your grip on the stroller this will keep it from getting away from you. The adjustable handle is great for parents of different heights. The 5 point harness top off the list of notable features. With a combined maximum weight limit of 100 pounds this will grow with your children for quite some time. ONE reader is going to win their choice of a single or double Speedster Swivel stroller! This giveaway ended at 11:59 PM EST on October 12, 2012. We do have a tent but never enough room to dress and sleep, eat if it rains…so this screenhouse would be so great to have! we would need the large one. I want the Pathfinder 3.0! I have never heard of this brand before but was excited to see all the camping gear on their website! I really like the Big Dipper 30 Junior – Boy’s for my grandson. The stroller looks good and is comfortable for the child!!! There is nothing fun about jogging with a child who is not comfortable in the seat or one that you can’t see your child! It’s their 60th Anniversary 🙂 I love their products, they last forever!!! I like that their tents come with a foot print tarp for under the tent. That would make it so much easier to know that the tarp under is the right size. The second one is on the way in 3 wks….double stroller please! oh sooooo much I want from Kelty, bascamp kitchen, kid carrier tour1.0 or mijo, kids’ woobie sleeping bags, ahhhhh soooo much I want from them! I would LOVE a double seat stroller! It looks great and light weight! I always find that strollers lack good storage so i love how big this basket is! I’d love to have a Woobie 30 – Boy’s sleeping bag for my son! I want the frontier 4. It looks so roomy for my entire family. I could totally go for a double jogger!! I really liked the Kelly Fury 35 Liter Backpack. You cant hold your baby on your back comfortably and also your belongings. The weather shield would be perfect to protect my little ones from the random FL summer showers that inevitably pop up when we’re out and about! I like their choice of sleeping bags! I don’t do much (okay, any) camping, but there were still some great items on their site. I really like the Mesh Chair Item Number: 61010021, because it would be perfect for the beach or pool. The lanterns were great, too; got me thinking about hurricane season and losing power. Something like that would be great. My husband and I would love the Journey 2.0 carrier, we love to hike and this would be perfect! I would love a Pathfinder 3.0 for my daughter! I love the PARTHENON 8 tent, we have a big family, so we need the space! 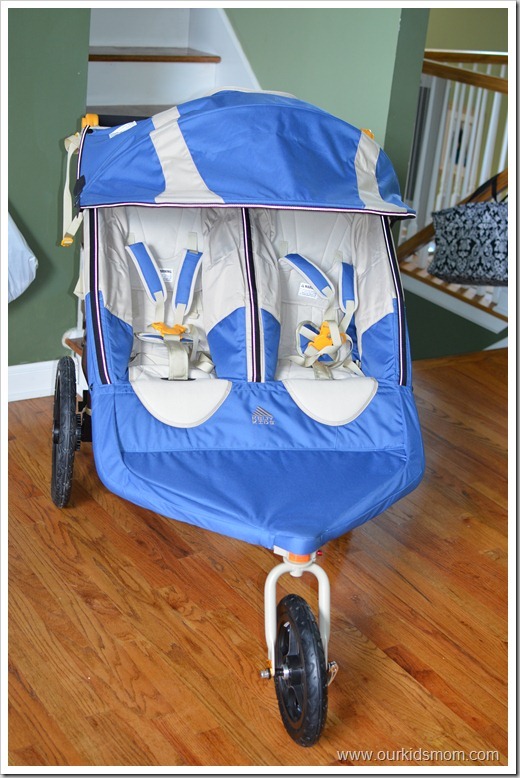 I really like the screen tent and the strollers! I would love for both of my little ones to have the little dipper sleeping bags! My youngest just stopped liking the backpack for hiking all the Colorado trails around here. We need a stroller like this to keep the pace up now! Plus, with one on the way we might even need the double! Kelty makes so many more things — tents and camping gear too! I Like their Tents ! I also like the Launch 25 Agile Pack. This is awesome. I could finally get some exercise! I would like to get a couple of the kids sleeping bags. I’m so excited about the camping stuff! I really like the diaper changer/seat pad…. would work great for outdoor events with my preschooler! I’d also love the Transit 3.0 carrier! They are very involved in Child Safety. That is a great thing to be proud of! Wow, I’ve never seen one of these strollers but they look awesome!!! Oops, meant to also say that I like the kids’ sleeping bags on the website! I love the child carriers for hiking. They would be great to have! I like the Frontier 4 tent. I love that they have baby camping gear. the baby carrier frames are awesome. I would love the Hula Shadehouse. Great for camping and the beach! I like & want the Transit 3.0 Carrier! I want the stroller, we currently don’t have one. They also sell diaper bags, and sleeping bags for kids! With a growing family,it would be great for my son,Josh and his bride,Nichole to win this amazing stroller.It is great how moms can connect to help one another.Kelty makes really good products.Have some myself! May look into their tents when the time comes! Hope to win this awesome stroller for them! The stroller would be perfect for long walks and running with my little girl in tow. It looks and sounds like a fantastic stroller in so many ways. I have purchased Kelty products in the past and know they make quality items that last a very long time! Fingers crossed. I also love the tents! I love all the outdoor kids stuff! The pathfinder 3.0 would be awesome to own. I would love this stroller in the double size!!! If I win this stroller, the item from the website I would totally get, is the weather shield. It rains a lot in Oregon, and we love walking in the rain and staying dry! I love the Kelty Junction carrier it would be great in town but most useful to get my Little one off the porch at the family cabin. I would love the Speedster Swivel-Deluxe, I’ve been wanting a jogging stroller for a while to get back into running with the little one. It would be awesome to win this. Would love to win the double jogger for my new grandsons. I really like the baby backpacks! The sleeping bags! Thanks for the giveaway! I like the variety of items they have.. strollers, tents, sleeping bags, etc! Love that the front wheel swivels or locks. i like the frontier 4 tent! I love the tote diaper bag. I really liked the Kelty child carrier and I learned that it is safety approved by JPMA. We are campers here. We love to take off and spend the weekend camping and fishing. So, I like the Shadehouse. I like the sleeping bags. I learned that my child safety is their number one priority! I want the Parthenon 4 tent. I love that it has the screen! It’s nice that they offer a rain cover for both strollers! I am looking into double strollers now since baby 2 is due soon! I like this website and wish I’d had it available when raising our son…but now I am reading to obtain info to share with my nephew and his wife as they are expecting in January after having lost twins in their 3rd month of pregnancy last year. Hope to win the stroller to make a nice gift for them! I love the double seat stroller! I love the Hula Shadehouse! Frontier 4 tent would be awesome to have! I’d love their Frontier 4 tent! i like the big dipper 30 jr also ! Great Blog! I hope I win this stroller. Good luck everyone! I like the Parthenon 6 tent. I love their screen house and many more tents. I like the Pathfinder 3.0 child carrier. I like the tote diaper bag! The SPEEDSTER SWIVEL-DELUXE is another product I like from Kelty. Thank you! I want the Frontier 4 Tent. I love the adjustable height handle…that’s almost a necessity anymore! I like the Combo Deal: Trail Ridge 4 with Footprint. I love the Women’s Red Cloud 80! I’d like to have the Tote Diaper bag. I like that they sell many otheroutdoor items. I would like the big dipper 30 junior boys sleeping bag. The Big Dipper 30 Junior – Boy for my son!! I learned they have a sweepstakes on their site. Good Luck if you enter. 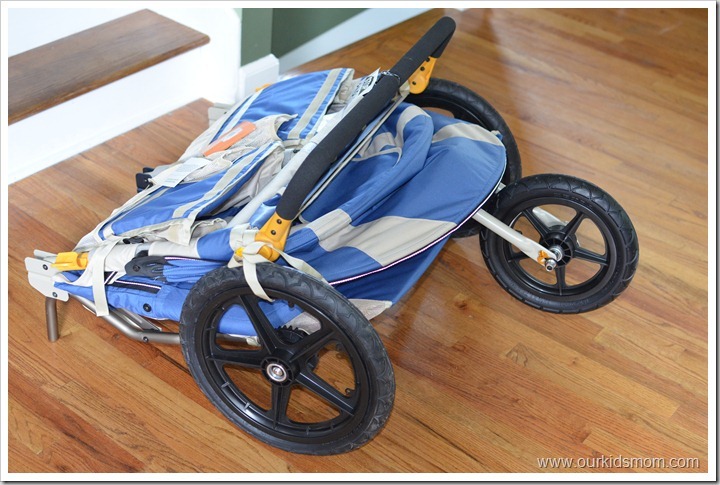 This is a great jogging stroller, adjustable wheel! Perfect! kelty also makes baby carriers! perfect for incoming camping trips! The basecamp kitchen looks great. I want a few tents, just so my family can enjoy camping! luma pivot- covers every where, I also like the fact of kids getting out and exploring, this site has high child safety. i like the Gunnison 2.1 tent! I also like the Transit 3.0 child carrier. Thanks for the chance. I like the new markdowns section, makes it easy to find a sale! I’d love any of the child carrier’s. Just don’t know which will fit me best. I’d love to try their Fury 35 Sleeping Bag! I like the retro style packs. 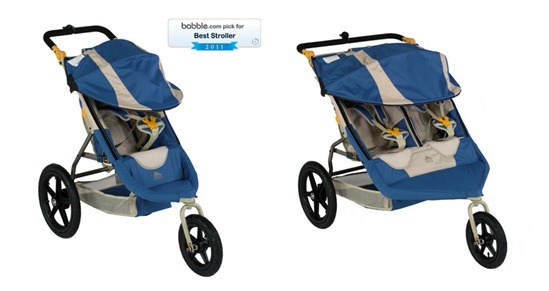 I desperately want one of the double jogging strollers! I’d love to have the Parthenon 6 tent! I like the Pathfinder 3.0 Child Carrier! id love to have the Frontier 4 Item Number: 40814512 i really need a new tent cause my last one got ruined. The Frontier 4 is awesome! I’d like to get their Frontier 4 tent for my family camping trips, instead of having to borrow one. I would like the Little Dipper 40 Junior-Boys or my 2 and a half year old son. At the Kelty’s site I learned they have some great markdowns on backpacks and tents right now. That cabana is so cool! Can you blame a mom-to-be for being IN LOVE with the Kelty Speedster Swivel-Deuce Double Jogging Stroller? No more keeping the extra pounds on after that baby is here. My husband and I can fight over who gets to take this bad boy out first! LOVE IT! I’d love to have the Woobie 30 – Boy’s sleeping bag for my little guy. I love the Frontier 4 person tent with its great features of over 7′ of peak height and supported front vestibule. I would love to have one of the shadehouse items for our camping here in texas. things can get really buggy and gross quickly and we would love to have one of those to get us away from them but still be able to enjoy being outside. I would love the Kelty single speedster swivel stroller! I’d love to have the Kelty Screenhouse! My husband and I would love to take our son jogging in this stroller. Thanks for the chance. 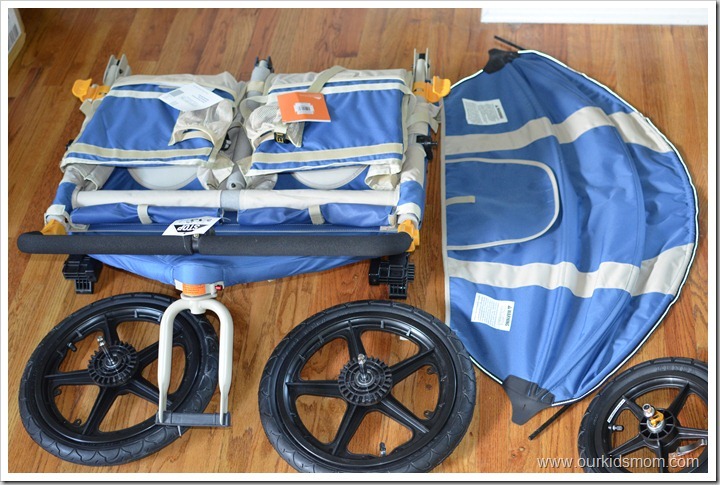 I love how compact these strollers can be for travel! I really like the Big Dipper 30 Junior – Boy’s! I like the PATHFINDER 3.0 in green. I will want the Speedster Swivel Deluxe Weather Shield if I’m the lucky one! This is great so you can shield your little in-case your out walking and the weather isn’t nice that day! I would love to have the frontier 4. I really like the TOTE DIAPER BAG! Cute and sporty at the same time! the LumaTrail lamp is very convenient! this is such a pretty stroller too! I’d love this. I really like the Frontier 4 tent. I’d like the Pathfinder 3.0! The Supernova 30 3 in 1, for sure! That’s so cool!! I adore Kelty packs (LOVE their quality!) and would looove to try one of their strollers! I love that when I went to their website I got to sign up to win 1 of 12 Prize packs!! I also love that they have such a great selection of child carriers! It seems like all of their products are very top of the line and high quality. Because I’m an active Auntie/Grandma with grands 4 mo, 7 mo & 2 1/2 years old, this stroller seems to be a perfect match. Is there any thing I should be concerned about with any of those age brackets? Is it possible to add a 3rd seat for an additional baby? love the pictures and the explaination of the product, I actually feel like I could put it in grea tshape…as well as myself. I learned they have a large collection of camping gear. I like the avocet 30 backpack. I love the tents! My family is dying to go camping this year! I really like the Kelty carriers. Having two little guys and trying to hike can be challenging, but the Kelty carriers are super nice! We just got one and now just need to learn how to use it! My family needs a new LARGE tent and this is perfect….I’d LOVE to get my hands on one of these! I’d also love to have the Ignite DriDown 0 sleeping bag. Thanks! I really need a double stroller. I love how light they are. I like the Car Tarp. i want the pathfinder 3.0!! The pathfinder 3.0 looks amazing for taking a little one camping. How cool is the Frontier 4 Tent – just over 7′ at its highest point – perfect for people like my hubby who are over 6 ft. tall! I like the Parthenon 6. They sure do have some great camping gear! I would love to have the double jogging stroller and the Parthenon 8 person tent (lots of room to store kid stuff :)). The Big Dipper 30 Junior sleeping bag is something I’d definitely want. I like the low- love seat chair. i Love the frontier 4 ! This is great for our family ! The jogging stroller is my favorite! I would love to have one. I really want the Pathfinder 3.0 child carrier. Wow…the double stroller looks nice! Thanks for the opportunity to win. I want the LumaTwist lamp, it looks so cool! The Tour 1.0 looks awesome!! I like their tents and sleeping bags, a campout would be cool! Wow they have tents and everything! I like the modern canvas tent for the whole family. Room for everyone! I like their focus on safety, and I like that they have backpack baby carriers. I want the Folding Captains Chair. This would be a dream come true for us! I visited the site and I like the Gunnison 1.1 tent! I like the Basecamp Kitchen for camping and tailgating. I like the backpacks, especially the Impact 30. I love the double stroller!! Really like the Parthenon Tent!!! Very Nice !!! I also like the Sleep Eazy Twin air mattress. I really like the car tarp! I love the soft top table. It is so portable and perfect for picnics and tailgating. Thank you for the opportunity to win. I’d love to have the Journey 2.0 carrier! Thanks for this review! 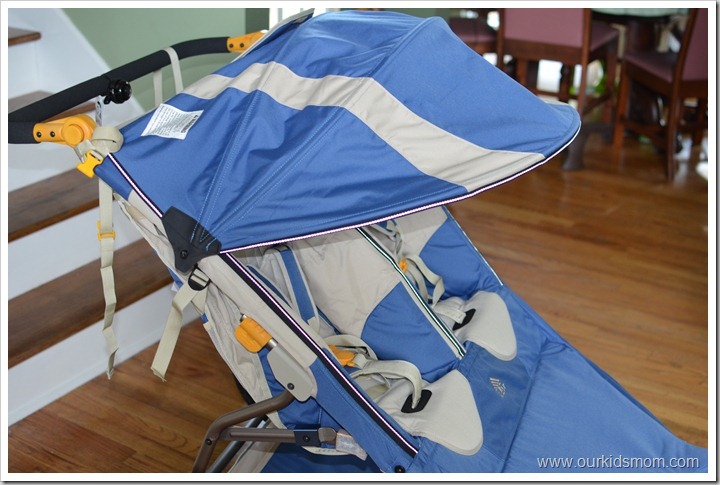 I never actually heard about Kelty strollers and I’m obsessed with strollers! I guess not obsessed enough! I am thinking of getting one myself! I can’t seem to find it on Kelty’s website; can you please direct me to the right page?